Check out some of our food truck recipes, recipes created by our Torch 180 students, and some of our personal favorites. When you recreate them at home make sure to tag us on FB, Twitter and Instagram. ​*For a low carb option use Joseph’s Lavish Wrap (found at Walmart,) sugar free Hershey's chocolate syrup, sugar free pudding mix & stevia instead of sugar. The grams listed were used for an exact calculation of personal macro-nutrients - use as much or as little of each item as you desire. Cut tortilla into chips with sharp knife. Spray chips quickly with nonstick cooking spray & sprinkle with cinnamon & sugar. Bake til golden brown (5-8 minutes). Mix yogurt & pudding & drizzle over chips. Top with strawberries & chocolate sauce. With hand mixer, or stand mixer, beat heavy cream until thickens and doubles in size. 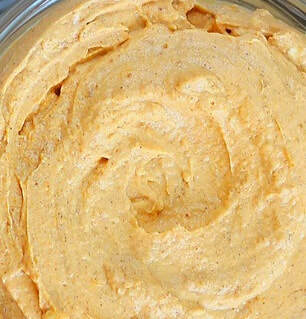 In a separate bowl mix thoroughly softened cream cheese, peanut butter, Swerve and vanilla. Combine whipped cream with peanut butter mixture by folding together. Stir in chocolate chips and serve - best if served cold. ​Prepare quinoa according to directions. In large bowl add beans, cilantro and tomatoes. Fluff quinoa and add to bean and tomatoes mixture. Cube avocados, squeeze lemon juice over tops and add to rest of ingredients. * To make keto friendly, simply sub Swerve (or your sweetener of choice) for honey and brown sugar. We have also added 2 tbsp of pumpkin pie creamer to this and it turned out wonderful - so get creative! We tend to season food heavily, so start with small measurements, taste & adjust to your personal liking. Slather on everything and enjoy. *Can be stored in airtight container for two weeks.